It seems that Trump's first Twitter war of 2018 is officially underway. After his first tweet of the new year took direct aim at Pakistan for giving "safe haven to terrorists," the official twitter account of the Pakistan Ministry of Defense fired back saying they've offered valuable resources to the U.S. over the years but have received nothing but "invective and mistrust" in return. "Pak as anti-terror ally has given free to US: land & air communication, military bases & intel cooperation that decimated Al-Qaeda over last 16yrs, but they have given us nothing but invective & mistrust. They overlook cross-border safe havens of terrorists who murder Pakistanis." In his very first tweet of the new year, President Trump threatened to cut off financial aid payments to Pakistan saying that its leaders have given the U.S. nothing but "lies & deceit" while providing "safe haven to terrorists we hunt in Afghanistan." "The United States has foolishly given Pakistan more than 33 billion dollars in aid over the last 15 years, and they have given us nothing but lies & deceit, thinking of our leaders as fools. They give safe haven to the terrorists we hunt in Afghanistan, with little help. No more!" The tweet comes just one day after we noted that an annual State Department report on terrorism revealed intentions to deny Pakistan $255 million worth of military aid after the terrorist-harboring nation "did not take substantial action against the Afghan Taliban or [the Haqqani Network], or substantially limit their ability to threaten U.S. interests in Afghanistan." “The United States does not plan to spend the $255 million in FY 2016 in Foreign Military Financing for Pakistan at this time,” a US National Security Council spokesperson told the Hindustan Times, one of India's largest newspapers. “The President has made clear that the United States expects Pakistan to take decisive action against terrorists and militants on its soil, and that Pakistan’s actions in support of the South Asia Strategy will ultimately determine the trajectory of our relationship, including future security assistance," writes The Times. During a mid-October incident in which Pakistani forces freed a Canadian-American family and captured one of the Jihadi abductors belonging to the Taliban-linked Haqqani network, Pakistani officials rejected US requests to access the man - as authorities believed he could provide valuable information about at least one more American hostage. American officials are eager to lear what the militant knows about Kevin King, an American university professor who was kidnapped along with Timothy Weeks, an Australian citizen, in August 2016. Mr. King is believed to be alive but ill and American officials are hopeful that he and Mr. Weeks might be released. Defense Secretary James Mattis previously delayed a $50 million aid package to Pakistan in July by withholding a certification that the country had done enough to fight the Haqqani terrorist network. 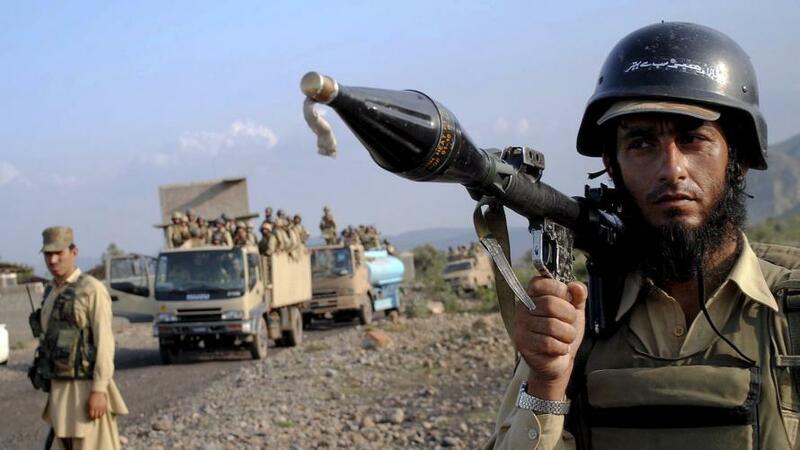 The State Department told the New York Times that Pakistan's actions will ultimately determine the course of "security assistance in the future," adding without further comment that conversations with Pakistan are ongoing. When will Pakistan apologize to us for providing safe sanctuary to Osama Bin Laden for 6 years?! Some "ally." Pakistani intelligence had full knowledge that Bin Laden was living in Abbottabad. They were sheltering him.